It’s taken me a while to perfect our workbox system (although I’m sure I’ll keep making changes as we go! ), so I’m really excited to show you what we’ve got going on! I’ve written before about our workbox system, but here I’ll go into it one more time, in even greater detail, because after several months of working the system I think I’ve finally ironed out some of the kinks! 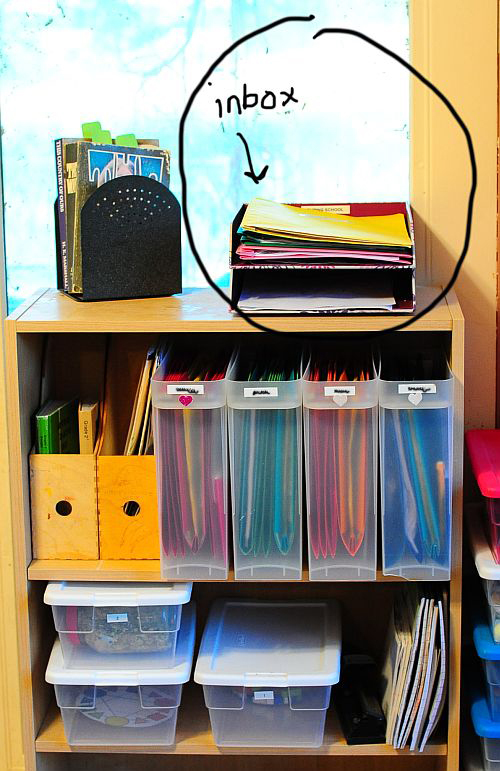 The workboxes themselves are just simple plastic file boxes we got from Office Depot and inside we have folders with each subject the kids are working on. Our workbox materials (books they’re currently reading, violin/cello books, etc.) 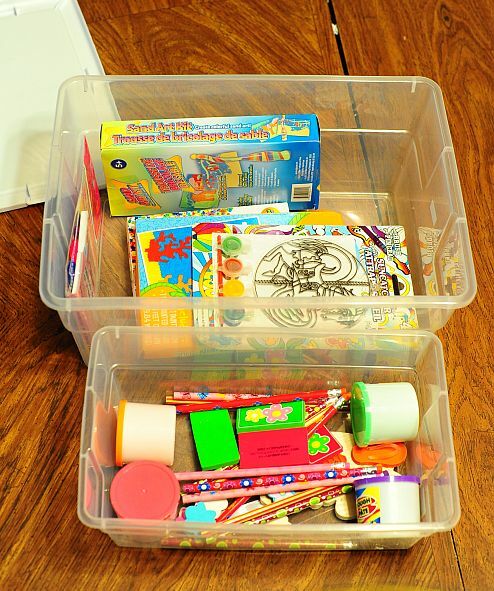 are located to the left of the workboxes, and our activity boxes are below (currently holding I Spy bottles, Cuisenaire rods and a clothes pin color wheel for the little ones.) To the right of our workbox shelf, we have miscellaneous project boxes which, at the moment, hold paint sets, stationary for writing cards, and misc. craft supplies. Much easier to access, and nicer to look at. 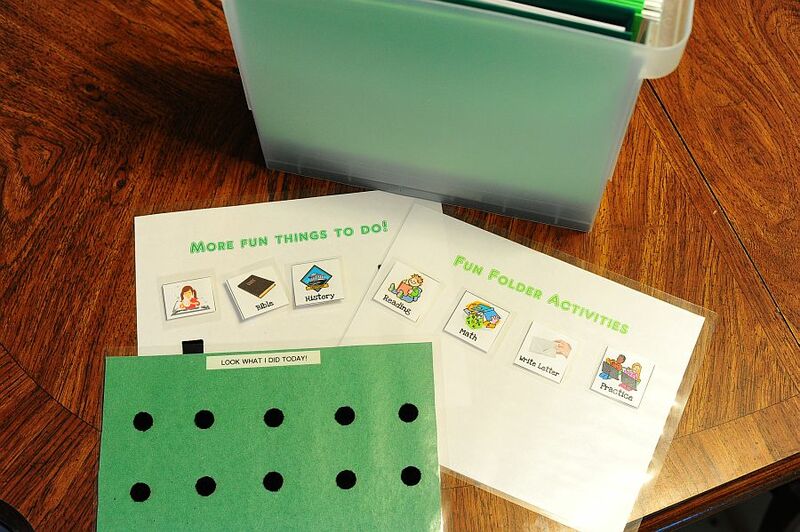 The activity tabs that told the children what to do each day (see image below) used to be located on the outside of each folder, but they weren’t working out so well for us because the kids had to pull every one of their folders in order to find out what they were going to do for the day. So, I decided to do something similar to what I’d done for the miscellaneous activities, and make a separate paper holding the activity tabs for all the folder activities. 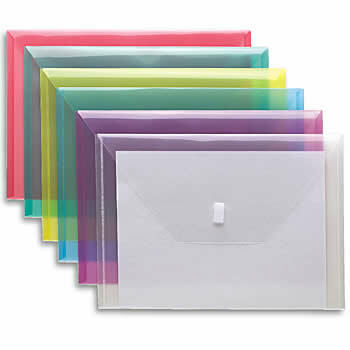 Now, they just glance at their two sheets (one for folder activities and one for miscellaneous activities) and know what they’re supposed to do for the day. As before, when they finish each task, they pull off the velcro tab and put on the “look what I did today” page. 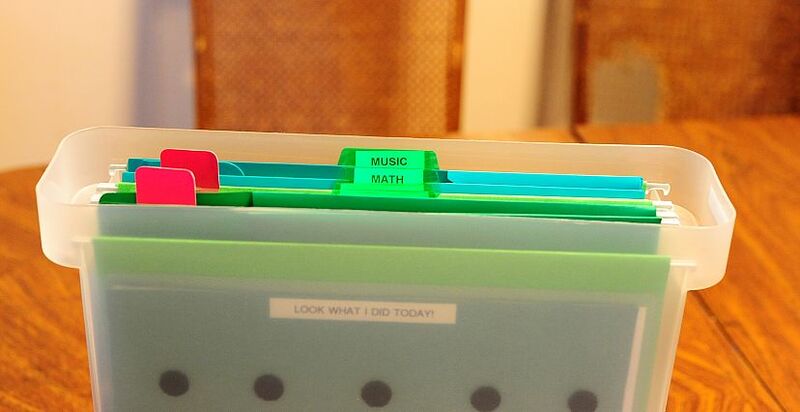 The kids know that if one of their activity tabs is velcroed to their activity sheet, they’re supposed to do whatever is in the corresponding folder. But what I wasn’t quite getting through to them is that we needed to go over their OLD pages together (also located in the folders), if I made corrections for them. They’d forget, and I’d forget, and the mistakes weren’t getting corrected. 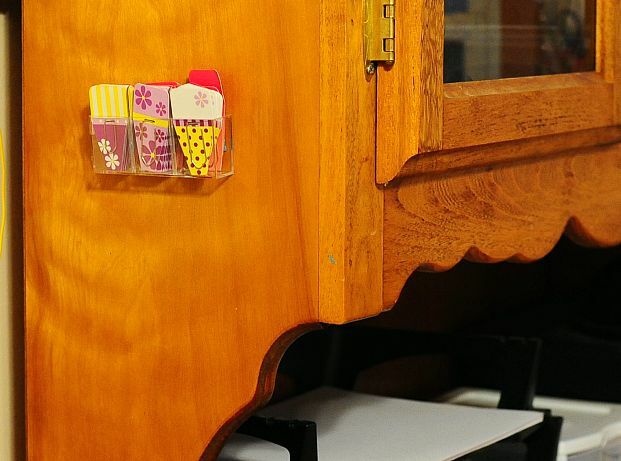 Enter, souped up paper clips! I try to keep everything in their reward box school/craft related, and they’ve gone a long, long way in keeping the kids motivated! So, there you have it… Our workbox system, in a nutshell. I’m sure there will be more changes and updates as we continue working through the system, so I’ll probably write more on this in the future. This is all pretty new to us, so if you have any suggestions (or questions,) please let me know! 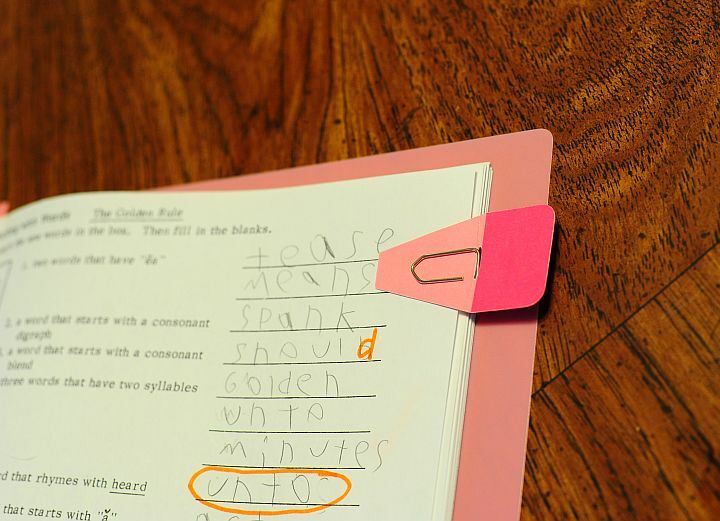 This entry was posted in Homeschooling, Parenting, PERSONAL. Bookmark the permalink. Love the motivation boxes. I know my kids would do really well with that, especially my 2nd grader who doesn’t like math. I just have to thank you for your comment… I didn’t know what Post-It Flags were and so I googled it and found that post-it has an online store! I’ve been trying to find post-it flag pens for the longest time now and haven’t been able to find them (partly because I didn’t know what they were called), jumped on the post-it store, clicked on “writing tools” and there they were! So, thanks! :) I hope you’ll let me know how the motivation boxes go, if you decide to start using them! I will let you know how the boxes go. I think they will come in handy this summer when I tell my kiddos they are doing Greek and Latin root words, writing, and math exercises over the summer, lol!